Ann Montzka Smelser began playing violin at the age of 3 with the help of her mother and father, Marilyn and Arthur Montzka. Later she studied under Kazuko Numanami and Sarah Hersh at the Oberlin College Suzuki Program and later with Rebecca Sandrok and Pierre Menard. In between receiving her Bachelors of Music Education and Masters in Performance and Pedagogue at Northern Illinois University, Ann studied with Dr. Shinichi Suzuki at the Talent Education Institute in Matsumoto, Japan. After college, Ann toured extensively with the Ruggieri String Quartet to all four corners of the United States through Columbia Artists Management. 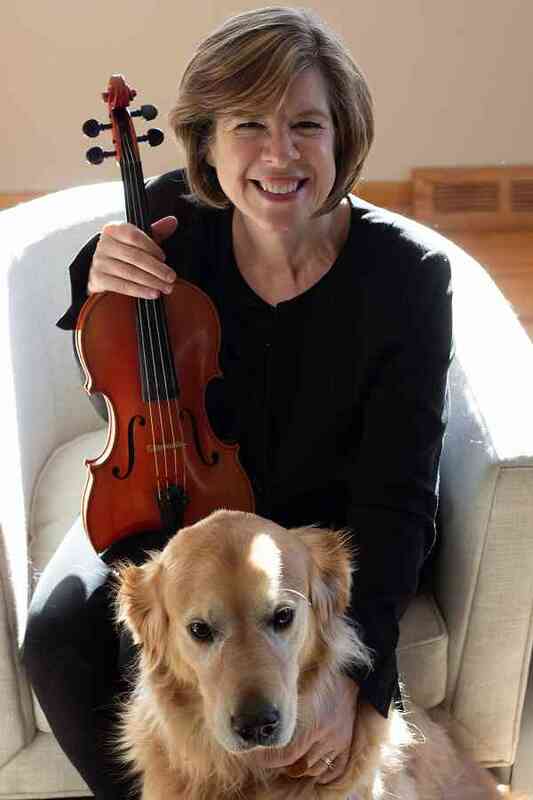 Ann has performed in many orchestras and chamber ensembles and is currently principal 2nd violinist with Camerata Chicago and concertmaster of the Kishwaukee Symphony Orchestra. In 2003 Ann received the Hester Byron Excellence in Teaching Award and in 2013 was inducted into the Sycamore Music Booster’s Hall of Fame receiving the Legacy Award and in 2019 was inducted into the DeKalb Music Booster’s Hall of Fame receiving the MUSE award. Ann is a lifetime member of the Suzuki Association of the Americas and has been invited to present at several SAA Conferences. Ann has served as coordinator of the Suzuki Youth Orchestras of the Americas in 2006 and 2008 and coordinator for Violin at the 2014 and 2016 National Suzuki Conferences held in Minneapolis, Minnesota. Ann became a Registered Suzuki Teacher Trainer in 2005 and currently teaches Suzuki Pedagogy at both Northwestern University and Northern Illinois University. Ann teaches about 40 private students and is director of the NIU, CSA Suzuki Strings Program at NIU and a teacher at MIC in Winnetka. Ann enjoys working with Suzuki families and teachers at Suzuki Institutes and workshops throughout the United States. Ann was a guest teacher at the 2010 International String Conference in Singapore and has given Teacher Training courses in Lima, Peru, Costa Rica and Mexico City. Ann lives in DeKalb, IL with her husband, Linc, and her Golden Retriever, Chloe. Linc and Ann are proud Suzuki parents of their daughter, Genevieve, and son, Benjamin, who are currently pursuing music in college.